CORPOLOGIA is an occasion for artists and people who use actions to investigate the present to come together freely and independently. Each performer’s piece can take any form and must be no more than ten minutes long. We usually work without technical or stage sets and each person brings along what they need. This is a unique occasion for exchange and mutual understanding, where anyone can present work, thoughts, ideas, concerns, opinions; in fact, any type of expression inspired by presence and action. 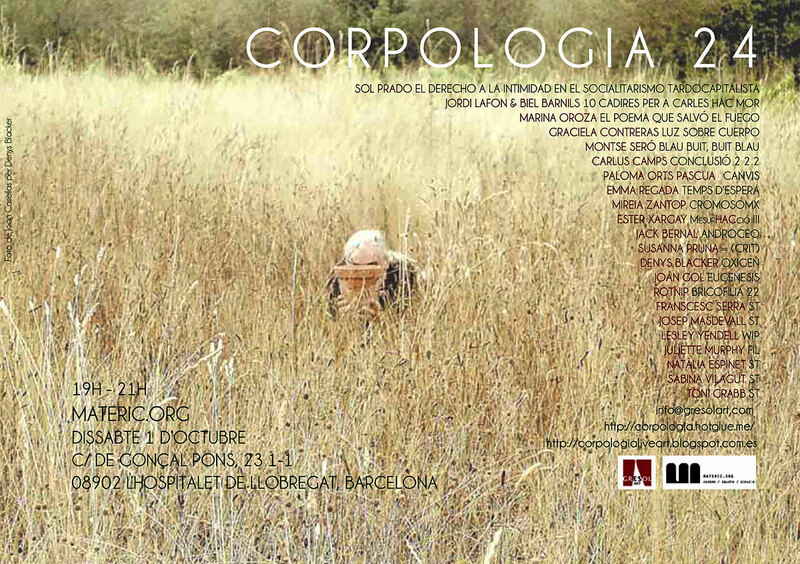 After each encounter any and all of those taking part can contribute to the CORPOLOGIA magazine with texts and/or images expressing their opinions, ideas and reactions. The magazine will be published after each meeting and can be obtained at ensuing encounters. Keeping the encounter and the magazine independent is important to us; we manage this by building relationships and synergies based on human values, altruism and creativity.